"The man was unconscious and Rita left her puppies and stood over him, barking incessantly until someone checked on her alarm." 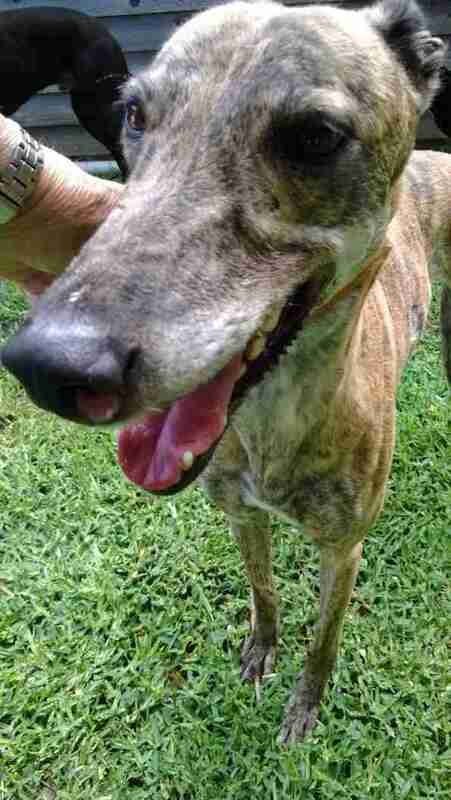 So many people came together to help save a greyhound named Rita — but not one of them was the person who owned her. 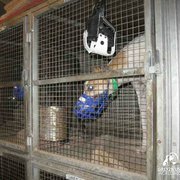 Rita, like many other greyhounds, was used by the racing industry in Australia. After Rita became too old to run races, she was put away in a kennel and bred over and over, just the way her mother had been — Rita's mother had died of internal bleeding because her body was so exhausted. And it seemed that Rita's fate wouldn't be much different. Sadly, Rita's story isn't so unique. The racing industry is known for confining racing dogs for long periods of time, racing dogs until they injure themselves beyond repair and ultimately euthanizing them. That's why many places around the world have already phased out dog racing. One day, Rita was in the kennel with her new litter of puppies when she noticed her owner was in trouble. Rita saw him suddenly collapse — and no one else was around. "The man was unconscious and Rita left her puppies and stood over him, barking incessantly until someone checked on her alarm," Victoria Sublette, a member of the Coalition for the Protection of Greyhounds, said. "The man was found, an ambulance was called, and this man’s life was saved by this very special greyhound, Rita." But two more years passed, and Rita's life didn't change. Finally, last year, her owner decided he was done with Rita so he dumped her at a vet's office. And that's when Lorraine Ramsay stepped in. 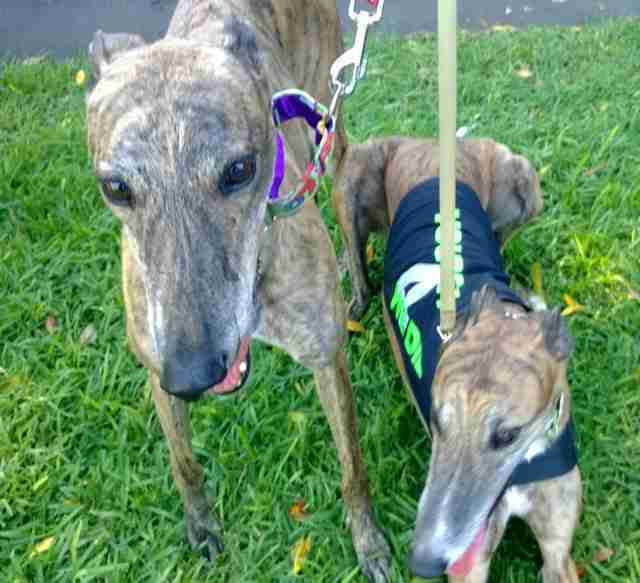 Ramsay is a greyhound advocate who runs the Rescued Greyhounds NSW Central Coast Facebook group. She tries to help get these dogs adopted into loving homes and she had been trying to adopt Rita to give her a better life for years. 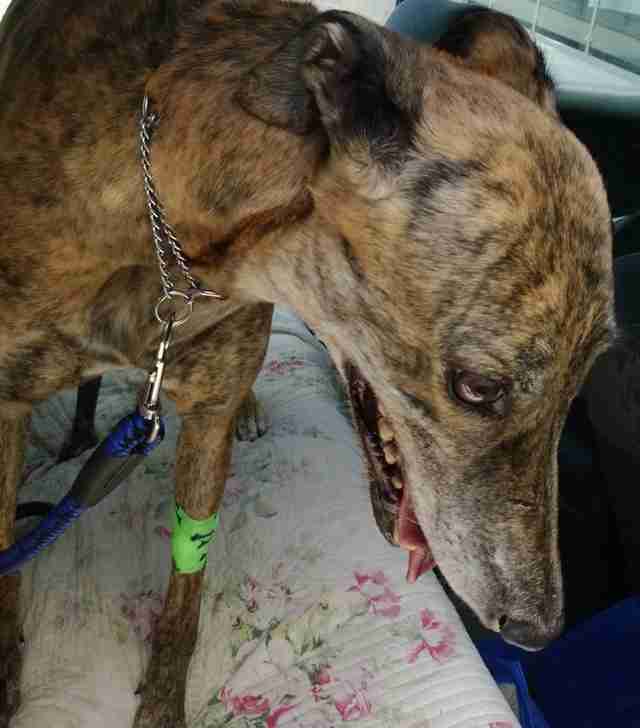 But by the time Rita's owner gave her up, there seemed to be something potentially seriously wrong with the exhausted greyhound: a sore, pink spot on her nose. Lorraine took on the responsibility for dealing with what turned out to be a terrible problem: The spot was a cancerous mast cell tumor and it was threatening Rita's life, even though her real life outside of the racing industry had only just begun. Thankfully, there were many people out there who cared enough about Rita to help her out. Lorraine found a specialist who managed to use chemotherapy to reduce the size of the tumor so that Rita could have surgery to remove it. And animal lovers donated $11,000 to Rita's treatment. A year later, Rita is still cancer free. "Today, Rita is 7 years old and has been cleared of all signs of cancer," Sublette wrote. 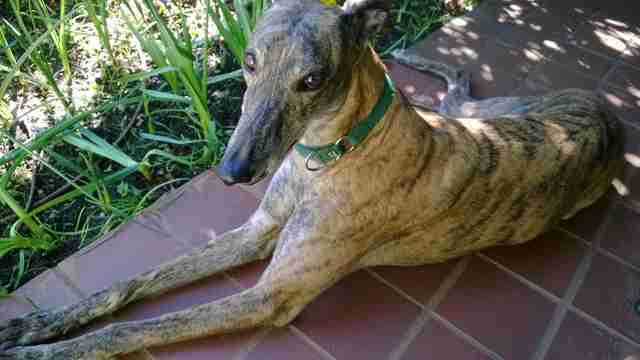 "She lives with Lorraine and her other rescue greyhounds and rescue cats full-time and is thoroughly enjoying her life as a beloved pet and companion. Lorraine is completely in love with her and cherishes every moment they spend together." 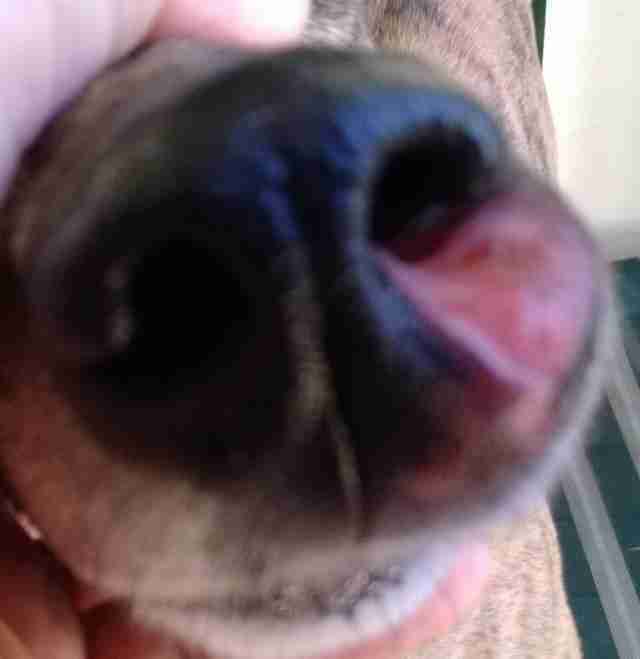 According to Ramsay, Rita loves helping other dogs make the transition from racing into being beloved family dogs. 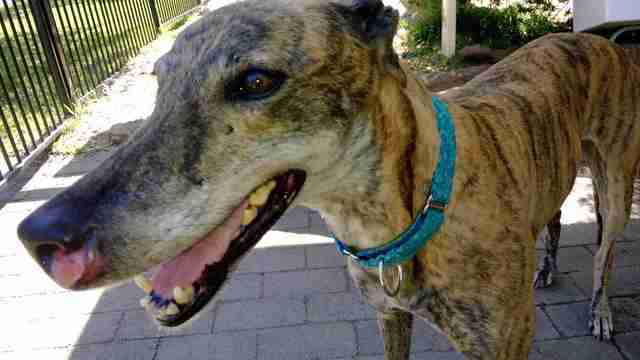 “Rita now lives a loved life helping other ex-racers assimilate into pet life,” Ramsay told The Dodo. 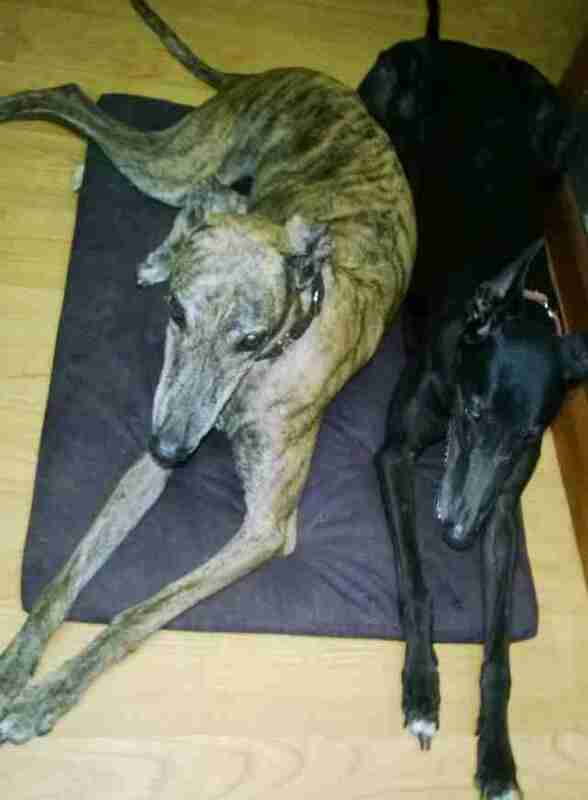 Rita and another ex-racing greyhound named Sandy are very important parts of Ramsay's life, as she continues to advocate for greyhounds. "They are my guardian angels," she said. 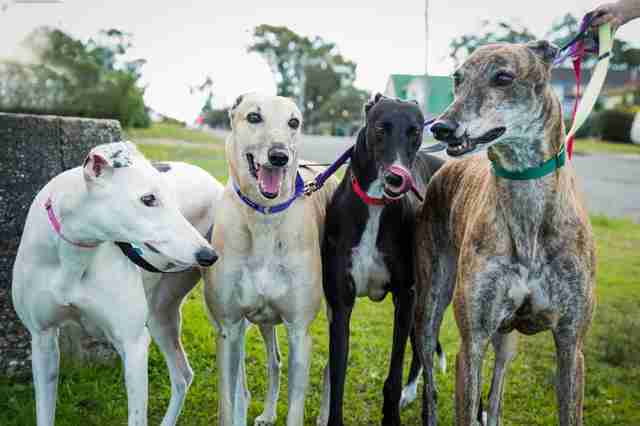 To helped greyhounds saved from the racing industry, you can follow the Coalition for the Protection of Greyhounds and the Rescued Greyhounds NSW Central Coast Facebook group.